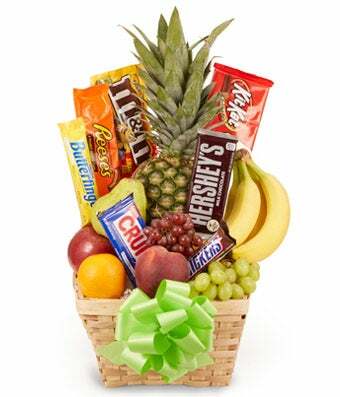 Send this Fresh Fruit and Chocolate Candy Gift Basket and you're sending sunshine - and a smile. This natural woven basket is filled with chocolate candies and orchard fresh fruit that's been picked at the peak of the season. Components may vary.